Valencia, CA – Coming Soon! Does your dog love peanut butter? Most dogs do and it can be a healthy way to reward your dog when given in moderation. There are many recipes out there that use peanut butter ranging from dog biscuits to frozen peanut butter yogurt bars. Dogs even enjoy peanut butter by itself and will lick it off a spoon or clean a finished container of peanut butter for you. However, a new ingredient some nut butter products are using could kill your dog. There is an artificial sweetener that is being used in some nut butters called xylitol. This is being used as an alternative to sugar which is good for people with diabetes. It also has the added benefit of helping to decrease bacteria and acid in the mouth, which is great news for dental hygiene. However this spells bad news for dogs as even small amounts of xylitol can kill them. It drops the dog’s blood sugar causing hypoglycemia which can potentially lead to death. While most pet parents know to check labels for any dog food you plan to feed your pet, this newest issue with the peanut butter shows just how important this really is. Even if you already have peanut butter at home and your dog has not had any issues it you should still make sure that you check the label. You do not want to poison your dog with the food you give them. This does not mean that you have to throw out the peanut butter, but rather don’t give this to your dog. If you need xylitol in your peanut butter for medical reasons and want to give your dog peanut butter, then make sure you buy another jar for your pet that does not contain xylitol. Another option is to make your own. This is a great way to control the ingredients in the nut butters, especially the salt and sugar. There are many recipes out there for making your own nut butter or you can do it at certain grocery stores such as Whole Foods. If your dog has consumed any nut butter or any product that contains xylitol the best thing you can do is to contact pet poison control right away or take them to an emergency vet. The ASPCA Animal Poison Control Center’s phone number is 1-888-426-4435. They are open 24 hours a day, 7 days a week to take calls and give you the help you need to deal with the situation. However, you will still need to take your pet to the vet, so make sure that you take your dog to the vet right away. You may want to call poison control on the way to the vet. The rumor of a dry nose is a sick dog is almost as old as time. A dry nose, however, isn’t always an indication of sickness. The wet nose actually comes from your dog’s tear ducts; they empty out onto the nose which is what makes them wet on a typical day. Often, you may find a dog with a wet nose has overactive tear ducts, but don’t worry about that being a problem unless our vet says something or your dog ha constant tear stains. At the end of the day, check with pet industry professionals like vets if you’re afraid your dog is sick; your dog’s nose is not a good indicator of health. If you thought you could throw out the Benadryl and get a 100% hypoallergenic dog, you might want to rethink one or both of the actions. While there are some dog breeds that can cause a lesser allergic reaction in some people, there are no dogs who are 100% hypoallergenic. From the fur, dander, and saliva, there are plenty of things for the allergic to respond to. You can talk to professionals in the pet industry to find those who are good with allergies, but before you adopt a dog, know that you will not find any you or your allergic acquaintance will not respond to. A pet adoption should be forever, so do your research ahead of time and save yourself, our family, and your dog the heartache of separation if the allergies are just too much. When you’re outside with your dog, you likely notice an unwanted (or unwarranted) addition to your dog’s diet: grass. Grass eating is common in dogs and the big argument you will hear from pet parents is that it causes upset stomachs. Dogs love grass, it’s a fact. However, grass is natural and eaten by many wild animals. Ask pet industry professionals and they are likely to tell you it’s not the grass that’s making your dog sick, but the pesticides and other chemicals on that make it dangerous for consumption. There is an estimate that 5 million dogs enter animal shelters every year and 3.5 million of those dogs are euthanized. Meanwhile it’s estimated that 23 million families are adding dogs to their families every year. With adoption rates like that, you’d think there should be no problem with dogs in shelters getting adopted. This deficit is often blamed on dog breeders, making dogs and tempting people to adopt from them instead of rescue missions. However the truth is that the pet industry is not disrupted by responsible dog breeders, and responsible breeders actually help the pet industry more than most people know. Some of the most common reasons for homeless dogs include: irresponsible pet parents who never had their dogs fixed or took their dogs into bad circumstances and they became pregnant, the owners could not afford the dogs, the owners decided they did not want the dogs, the dogs were dangerous, and puppy mills. What’s worse is there’s a nasty rumor in the pet industry that breeders are to blame. While dog breeders do create dogs, they do not do so in excess or thoughtlessly. Not only that, but a majority of dog breeders spend a lot of time contributing to rescue missions and animal shelters by donating time and money to them, fostering, sheltering, and even placing dogs for them. No one should ever shame responsible dog breeders for keeping a breed alive responsibly just like no pet parent should ever be ridiculed for adopting from a dog breeder. Breeders always home their dogs, however irresponsible pet parents don’t. Save dogs from euthanasia by having them fixed if you do not intend to breed responsibly. Help the pet industry. Help dogs. Before you give your dog a summer haircut, you want to check with your vet or dog groomer first. While dog grooming can help a number of dogs in the summer, dogs with double coats do not benefit from haircuts for summer heat. Their double coats insulate them to keep them cooler and protect their extremely sensitive skin from the sun. If you feel like you must cut your double-coated dog’s fur due to swimming, cut just above where the double coat starts to preserve it. However all dogs benefit from a good brushing that helps remove the remainder of their winter coats. Dog grooming isn’t the only thing you can do to alleviate heat on summertime walks. Whether you’re going to the beach or a walk on a trail path, always bring plenty of water for not only yourself, but your dog. Bring a collapsible bowl or other accommodations your dog needs in order to keep herself properly hydrated during the walk. Prevent heatstroke with dog grooming and by breaking up your walk times. While you might be used to taking an hour long walk or longer during the cooler months, try breaking the walk up into 10-20 minute segments at most to keep you and your dog out of the heat. If your dog loves water, try taking your exercise to the shore if you happen to live near a dog friendly beach. Water can be a great way for the both of you to cool down. If your dog has an excessive coat, you may consider having it trimmed with dog grooming so he isn’t carrying around as much weight when wet. While your dog might be okay to stay in a car during the milder months, you never want to lock your dog in the car with extreme heat or extreme cold. Your car offers no protection from temperatures and can actually make the temperature more extreme. Whether you dog has just visited dog grooming or not, long or short coat doesn’t matter. Don’t leave your dog for thirty minutes, don’t leave your dog for five. This mistake can be fatal. Some days in summer are going to be much hotter than others. On these days, no amount of dog grooming, water, or anything else will help your dog remain healthy in the sun. On these days, the asphalt or cement might even be hot enough to give your dog’s paws burns. On these days avoid going out when the sun is up. Instead, save your outdoor playtime until cooler parts of the day such as sundown or sunrise. St. Petersburg, FL – June 9, 2015 – During a routine dog grooming appointment at PETCO’s Midlothian store, a dog named Colby died after being placed in a dryer cage too long. Colby’s death was the result of the store’s animal care protocol not being properly followed by employees. Seeing this incident as a huge issue, Splash and Dash Groomerie and Boutique, one of America’s go-to sources for all things pet-related, strives to make sure that your pet is always safe and secure in a comfortable environment at all times. With safety being a top concern, Splash and Dash also encourages all customers to take advantage of their ‘10 Point Wellness Review’, where your pet is thoroughly examined and you are informed of all details regarding any area that needs to be addressed with possible solutions. Over time, you can track your pet’s score and use it to monitor any changes that may occur. These areas include: teeth, gums, and mouth; skin and coat; overall physique and behavior; and eyes, ears, and nose. This check is free with every dog grooming visit every time. Petco said that it plans to retrain all groomers nationwide, but a life was already lost, and cannot be replaced. SAFETY COMES FIRST! California, Connecticut, Florida, Georgia, Indiana, Maine, New York, Oklahoma, Pennsylvania, Rhode Island,Texas, Utah and Australia. 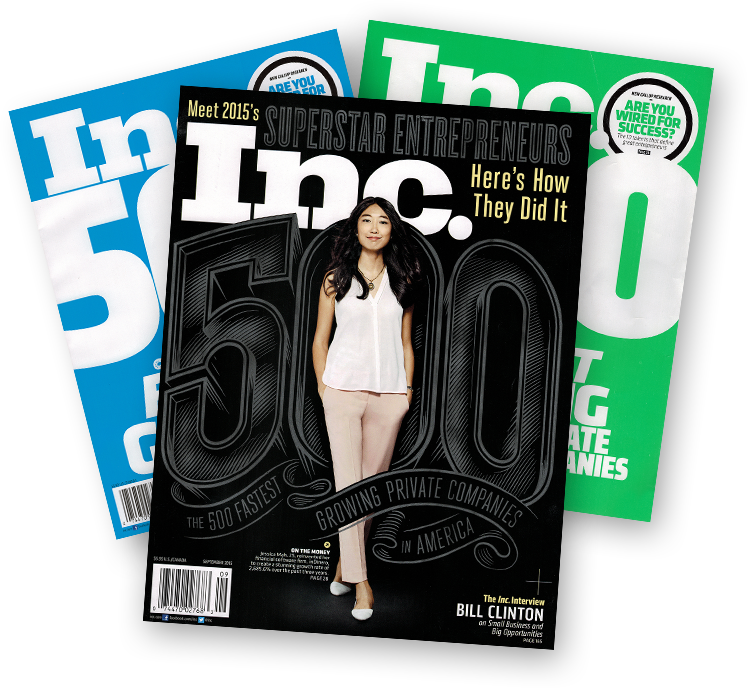 At a three-year growth rate of over 2119% annually, Splash and Dash for Dogs is featured as one of Inc. 500’s America’s Fastest Growing Companies for 2014. For more information, please visit www.splashanddashfordogs.com. For high-res images, samples, interviews, or any questions, please contact Lamont Johnson at Lamont@ArtDepartmentPR.com. Recent studies have shown that while consistently feeding your dog the same dog food isn’t unhealthy, it isn’t as healthy as it could be. More vets and dog health professionals are getting on board with rotational diets as it adds a level of variety and a spectrum of changing nutrients that your pet will need. What is a rotational diet? Rotational diets are diets where you switch what your dog eats systematically to provide your dog with a variety of nutrients. In most cases, rotational diets will either take on the cycle of kibble, then wet food, then dog food made of things like fresh beef, chicken and rice with some vegetables. Rotational diets change the dog food on a weekly, bi-weekly, or monthly basis in most cases. Rotational diets also do not usually include simply changing kibble brands as that does not allow for much different experiences in flavors or textures. Why should pet parents do rotational diets? While most dog food is designed to balance your dog’s diet and give them the nutrients they need to grow, kibble isn’t always as effective as it could be. By rotating the dog food that you use, you offer your dog a more unique nutritional profile that no strict kibble or wet food diet could provide. Your dog will also ingest more good components such as amino acids, vitamins, minerals, and fatty acids that are all natural in the fish, beef, and chicken that your dog will in the rotational diet. Some dogs can become picky because of the limits that come with mealtime. This pickiness and boredom may lead to your dog begging for your food while neglecting their own and this can lead to lack of necessary nutrition. Rotational diet changes the dog food, keeps your dog excited because of the changing flavors, and while it seems like spoiling, it maintains nutritional balance. This can all help diminish begging for table scraps. Changing your dog food can help your dog get the amount of water that he needs to be healthy. Many house pets don’t drink as much water as they should, cats particularly. One way that water consumption is helped is through the moisture in foods like rice, chicken, and frozen foods. Increased water consumption can help prevent health issues like urinary infections, liver disease, and constipation. Just like humans, dogs can be allergic to certain foods. By changing dog food with rotational diets, you’re able to expose your dog to different ingredients and allergens which can help build resistance to those allergens. Before you change your dog food, check with your vet to make sure you know the right items to use for optimal nutrition. It’s also better to start the rotational diet when the dog is younger as changing a diet can cause stomach issues at first. However with the help of a vet and/or nutritionist, you should have very few problems if any at all. In recent news, you may have read about the death of Colby, a lab mix who died in the care of Petco dog grooming in Chesterfield County, VA. He was left in a drying dog kennel and found with a temperature of 105 even an hour after his death. In wake of this tragedy, Allison Marks, pet parent to Colby, is not seeking vengeance or revenge, but has stated how she’d like to take this opportunity to raise awareness of the situation and to save other pet parents from experiencing this tragic loss in the family. Something that big box dog grooming in pet stores can’t do for you is specialize the attention and treatment of your dog. In small dog grooming boutiques, like Splash and Dash for Dogs, there is less task density so dog groomers aren’t stretched to the position of dog groomer, shelf stocker, cashier, nutritionist, daycare attendant, and every other job these individuals would have if they worked in a large pet store. Smaller dog grooming boutiques will see fewer dogs every day than large pet store dog grooming sections. When dog groomers are seeing fewer dogs, they are able to keep up a healthy pace and present all dogs with constant attention, whereas one or two dog groomers helping hundreds of dogs a day will do their conveyer belt duty, move the dog along, and may not be paying attention to its mood or other needs. When you visit smaller dog grooming boutiques, you will be greeted by only a handful of staff members each time. Because the stores are smaller, the staffing demands are smaller and this allows you to get to know the employees of the pet stores better. This also means that the workers of the pet stores given more training to more accurately complete their tasks. The owners of these small boutiques aren’t just looking for people to stand at the register because they have too many empty spots and must fill them. The owners have a very limited number of positions and hire only the best they can find to fill their handful of positions. In Smaller dog grooming boutiques, with so few staff members, individual training, and specialization, you and your dog are more likely to be considered family members than in big box corporations like Petco. Consider that each small dog grooming boutique is individually owned and operated. When you walk into them, you are meeting someone who loved dogs enough to spend their money opening a store that is there to serve pets and pet parents with the same compassion and care they show their own pets. With big box companies, you are likely to never see the manager, let alone the owner. Small boutiques offer you and your pet the opportunity to swap names and become part of a bigger pet family. You don’t have to fear dog grooming for your pet due to a mistake in a big box pet store. There are specialized dog groomers in every city, excitedly waiting to meet you and your dog and provide them with the personalized dog grooming you both deserve. This is a myth perpetuated constantly in the pet industry, among dog grooming facilities, pet rescues, and sometimes even dog breeding circles. It was likely thought up by those who wish to encourage pet adoption from rescue missions vs. breeders, but really only proves to divide pet parents. When it comes down to pet health, it’s all on an individual basis. Just like humans, some dogs are healthier than others, whether they’re mixed or purebred. If these dogs with health problems breed, many health problems can be passed down. You could take a purebred Beagle with health problems and a lab mix, make puppies, and they have the chance to have the same health problems as their parents because that’s how genetics work. At the end of the day, a healthy dog is a healthy dog and health defects come in all shapes, sizes, and breeds. Pit Bulls have a bad name in the pet industry for many reasons. One of the biggest reasons is their strong jaw and high level of energy. When Pit Bulls attack, it’s said that they lock their jaws and this is frightening for friends, family, and employees at dog grooming. When a jaw locks, there’s nothing you can to do release it. The truth about Pit Bulls is their jaws are no different than any other dog jaw on the planet. That said: they don’t lock. In the pet industry, this is a common saying among pet parents. You may find pet parents at dog grooming talking about how they share food with their dogs or that it’s alright if their dog licks everything incessantly because their mouths are cleaner. This statement is false as all creatures, human, dog, or otherwise, have bacteria in their mouths to keep them healthy. Dogs’ mouths aren’t necessarily cleaner than humans, but they have a different ecosystem. Most people certainly won’t grow sick from doggie mouth, but that doesn’t mean doggie mouths are clean or that you should be germ sharing. In the pet industry and among pet parents, it’s often said that dogs are color blind and can only see in black and white. This is actually very untrue. Many vets and professionals at dog grooming can tell you that studies have been done recently that say while dogs don’t see in as full a color-spectrum as humans, they still see colors ranging from shades of blue and yellow. Though dogs have not been shown to see colors on the blue to green spectrum. There is truth in the statement that dog’s age faster than humans. However the way their years add up is calculated differently depending on the breed. You’ll notice that often smaller breeds live longer than larger breeds. Talk to individuals in the pet industry and you may hear that lifespan is very breed specific. Appropriate dog grooming can help lengthen a dog’s life, but not to some major extent like adding ten years onto a 16-year-old dog’s life.